Ponchos are a stylish, comfortable, and practical fashion accessory that can add elegance even to casual outfits. Inspired by the traditional garments worn by indigenous peoples of the Americas, the fashion poncho today comes in a variety of styles and fabrics to keep warm in cool weather. With their full cut and long lines, ponchos draw a lot of attention. Women should find a poncho that looks right on their figure. This includes a flattering neckline and cut, as well as the right size and length. Many different closure styles are available, and selecting one is a matter of personal preference. Next, shoppers should be careful in selecting a colour or print. Neutral colours are more versatile; prints and patterns can be an beautiful accent but should be balanced by a toned-down outfit. Finally, accessories should be discreetly paired to the poncho so as to avoid cluttering the overall look. If your body type isn’t they kind that can afford extra bulk up top, you can still wear a poncho as long as you cinch it by the waist and secure it with a belt. This way, you still achieve a shapely silhouette instead of a chunky, baggy and ill-formed one. As poncho is accessory itself, you don't want to over do it. Adding scarf on top it could make it just too much. 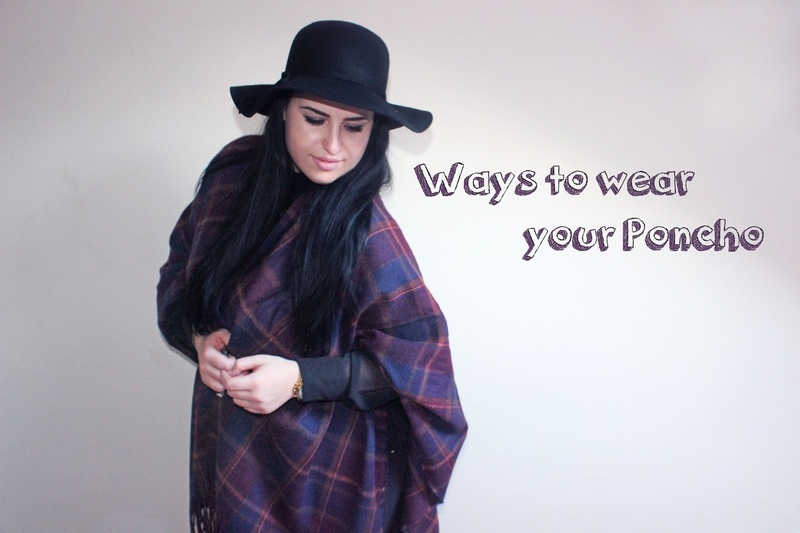 So wrap poncho 'wings' around your shoulders and you have one super warm and stylish scarf! Black or colourful, or maybe solid colors are not your thing? Then add more detail and color to you look by going with a printed poncho. You can throw it over your leather jacket, or your favorite knitted jumper. No matter how, no matter wear it will still look very stylish! Stay warm, stay fashionable! Happy poncho wearing!